The Huskers will try to get that win at home against a Maryland team that has dropped three of its last four. Senior post Tanner Borchardt said the process of regaining the confidence they need begins in practice. Miles said he hasn’t necessarily seen a strong belief from his players in the games. As the team has continued to struggle, the collective attitude has gotten worse instead of better in the wake of Isaac Copeland Jr.’s injury, something that has shown itself in the team’s body language. That’s been something Miles has made an emphasis in practice. He said he just wants a hard-working team. 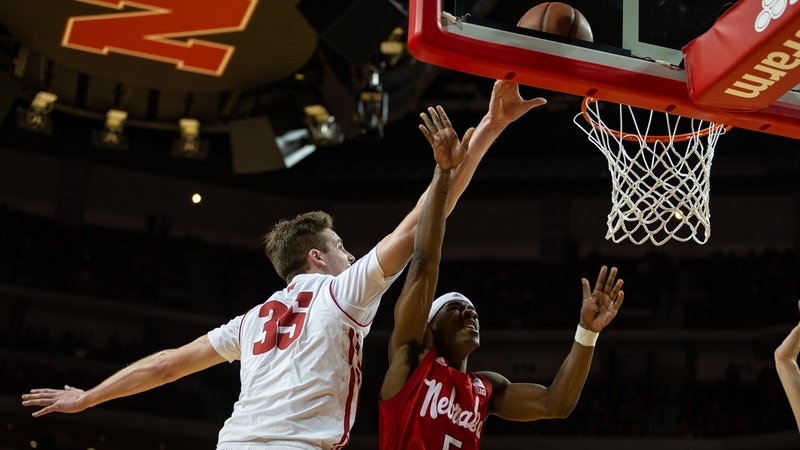 Miles said he has seen better effort in the last couple of games with the Huskers winning the rebounding battle in both of them. Nebraska has failed to crack 70 points in six straight games, and it has shot under 37 percent form the field in its last three. Shot selection has been a problem for a while, and the loss of one of Nebraska’s more efficient scorers in Copeland has only made it worse. The fact that Nebraska hung with the Terrapins in their own gym back on Jan. 1 with Maryland pulling out a last-second 74-72 win could give the Huskers some confidence as the Terps visit Pinnacle Bank Arena on Wednesday. Miles said his players saw that loss in College Park as a missed opportunity as the Huskers had every chance to win that game had they made one or two more plays. Fernando, the 6-foot-10, 240-pound sophomore for the Terrapins had 18 points and 17 rebounds against the Huskers in the first go-around, though he also turned the ball over six times. Borchardt, who had eight points and two rebounds in 19 minutes off the bench in that game said he is looking forward to the challenge of taking on Fernando as a starter. After the Huskers lost at Illinois and their flight home was delayed by fog, the team caught the end of Indiana at then-No. 6 Michigan State in their hotel lobby. The Hoosiers snapped a seven-game losing streak with a 79-75 win in East Lansing, and they did it while losing senior forward Juwan Morgan after just 13 minutes of action. Tip-off at Pinnacle Bank Arena on Wednesday is set for 6 p.m. on BTN. Kevin Kugler and Stephen Bardo will be on the call.